The IDF’s training complex in the Negev, known as Ir HaBahadim, will be named after former PM. The IDF’s new training complex in the Negev, known as Ir HaBahadim (lit. 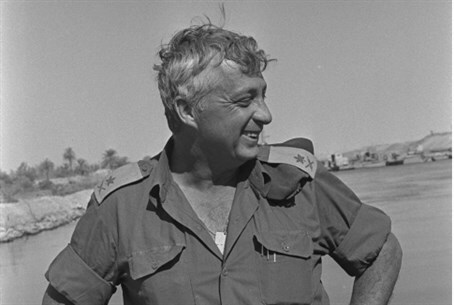 the city of training bases), will be named after former Prime Minister Ariel Sharon, it was announced on Sunday evening. IDF Chief of Staff Benny Gantz and Defense Minister Moshe Yaalon received and approved the recommendation of a military names committee to name the complex after Sharon. The town will be built on an area of 1,065 dunams (263 acres) and will house the IDF's Armaments School, Logistics Training School, Military Police, and more. Ir HaBahadim will also include an inn for visitors, a shopping mall, a country club and theaters, and is expected to provide a welcome economic boon for the Negev, as well as boost for the IDF, technologically and manpower-wise. The move to the Negev, called "Project IDF Ascent to the Negev," is being termed by security network personnel "one of the largest and most important military projects in the history of the State of Israel." Some 11,000 soldiers, both in the standing army and career officers, will serve on the technological campus of the 4CI Branch - the army's Command, Control, Computers, Communications and Information Branch. Another 9,000 soldiers will serve in other branches there. The project was delayed due to an objection by the environmentalist group Adam Teva V'Din, but that group later withdrew its objection after it was agreed that Ir HaBahadim will only be populated after the site meet rigorous safety standards regarding levels of pollution in the area.